Mary had already had a difficult day, and it was only 9 AM. Not only had she had difficulty sleeping the night before, but the kids had made it particularly difficult that morning to get them ready to go to school. If that was not enough, she had also discovered that the boiler had a leak and all the boiler room had water everywhere. On top of that, once she had got the children lined up for school, she was about to get in the car just to find that when she clicked the button on the key fob, nothing happened. She clicked once, twice, up to 10 times, but it seemed the car had decided not to open. Even when she walked up to the car and tried to unlock it with the key, nothing happened. “I can’t believe it!”—she uttered exasperated. Have you ever been in that situation? For most of us it is really handy to have power keys to open our cars from a distance, but when these little gadgets decide that it is time to stop working we could find ourselves in a predicament. These keys are not like other keys. They are anti-theft gadgets that will not let you even start your engine if they don’t emit the right code. Are there ways to prevent that from happening? What can you do in that situation? Yes, you probably have what it takes to repair the car door lock yourself, we don’t doubt it, but do you have the tools? Do you have the time? Don’t you have more important things to do? At San Diego Locksmith with our car door locks repair service, we want to spare you all that hassle. We work in all San Diego, CA, area and also the Orange County and Los Angeles. You are never far from us, give us a call and we will repair your car door locks in no time. 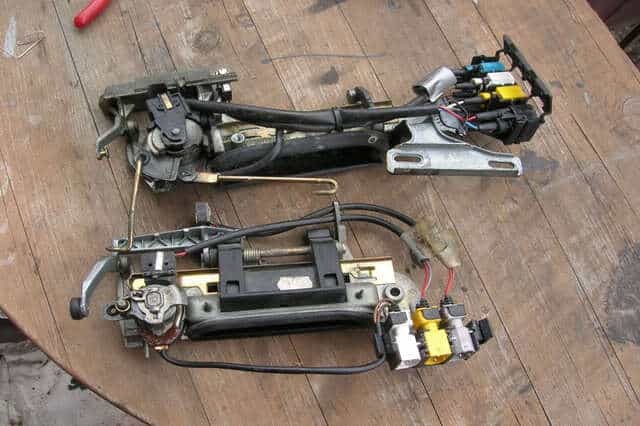 Of course, you could also take the car to you regular garage to beg for a car door lock repair San Diego, but sometimes a little job like this may not be what they are looking for if they are busy with bigger tasks. They may make you wait until they have somebody free to drive to where you are and help you or they may ask you to find a way to tow your car to the garage, adding costs and inconvenience to what already is an annoying problem for you. So, don’t think twice, why make it more difficult? 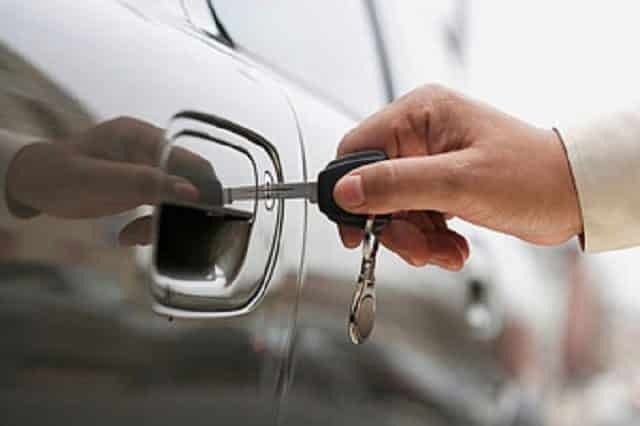 Our professional locksmith are on duty 24 hours a day, every day of the week, all the year long and will be pleased to assist you with your car door locks repair. Change the key fob. Maybe the problem is in your key fob. Go to your dealer and they can check the key with the computer and verify that the key fob is working. Or call 7 Day Locksmith and we will do it on the spot. Try other doors. Don’t be hasty to conclude that the door lock is broken and that you have to fix it, check if the other door locks work first. If none of them work, the problem could have to do with a fuse, then replace it or call 7 Day Locksmith. Test the key battery. That’s one of the first things you have to do. The same as your car, the key has a small battery which also needs replacing every now and again. Beware of the solenoid. No, it is not an alien creature. It is a a cylindrical coil of wire that acts as a magnet when carrying electric current and affects the whole lock-unlock process. You can call your regular mechanic which may have to tow your vehicle or call us and we will quickly come to assist you. Is it really cold? It could be that the mechanism is frozen. If so, get a hairdryer with which you will be able to heat either the key, the lock mechanism or both. 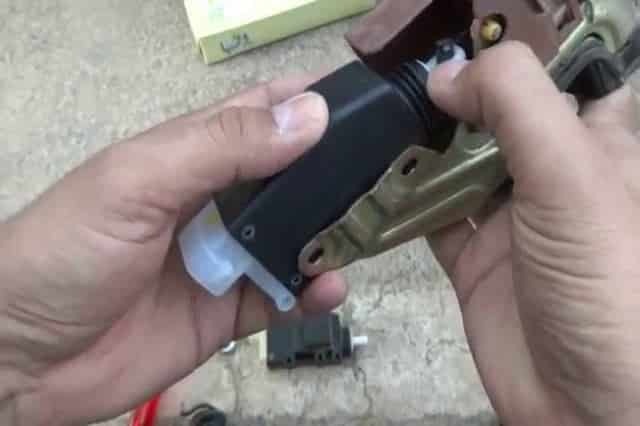 Car Door Lock Repair—Do You Need A Locksmith? It is true that technology often makes life easier and we see that in the case of power door locks in cars. But at the same time it can be a pain when they decide to stop working. To avoid that a good rule of thumb is not procrastinating when you have to change the battery. We know, you are busy, but postponing that could slow you down further in the future. How do you know when to change the battery? If the key doesn’t have an indicator you will, sooner or later, notice that you have to stand closer and closer to the car for the key to communicate with the computer and lock the car. At that point, some people decide to put the key next to their heads to amplify the signal of the key—that is true actually, the water in your brain acts as a transmitter in range with the key and amplifies the signal that the key sends to the car—but it is better to change the battery so that you will not be stuck later on. At 7 Day Locksmith we are awaiting your call. We have top-quality locksmiths trained extensively to assist you in any problem to do with your locks. Our locksmiths are trained to make duplicates of your keys and program them properly. Because we have workshops in almost 70 different locations we can get to where you are very quickly in our on-the-road assistance mobile vans and fix your mishap in no time. Don’t worry about the price. Yes, that is easy to say, but we mean it. We know what the market is like and our prices are really competitive. Call us! With us you will not waste your time!